Who polka dotted West Lakeview? 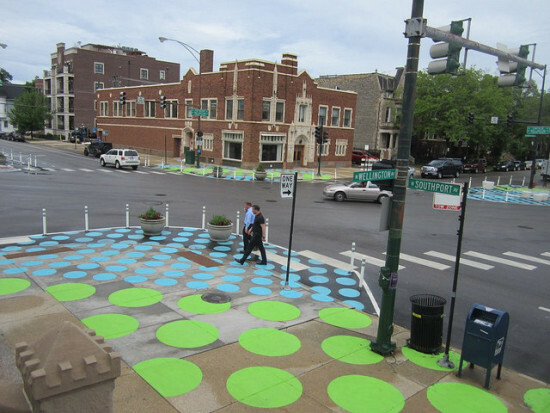 The area around the Lincoln/Wellington/Southport intersection on Chicago's North Side looks like a giant game of Twister, as Streetsblog's John Greenfield points out, thanks to a whimsical, low-tech placemaking initiative that is part of a larger $175,000 streetscape project along Lincoln Avenue. The blue and green dots visually tie together sidewalks and neckdowns at the busy six-corner intersection, setting aside space for pedestrians and discouraging risky passing maneuvers by cars during times of heavy traffic. 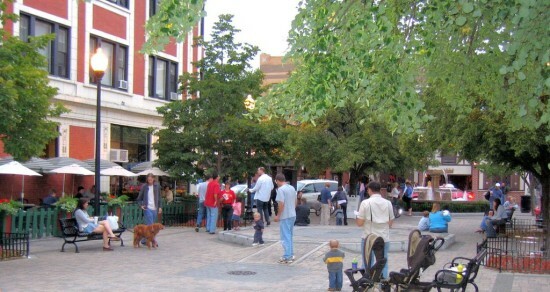 Plastic bollards, makeshift furniture and large planters provide some protection for pedestrians using the intersection's crosswalks, or just enjoying the expanded (polka-dotted) public space. The painted dots are supposed to endure Chicago weather for three years, at which point the city has planned a more permanent streetscape improvement. 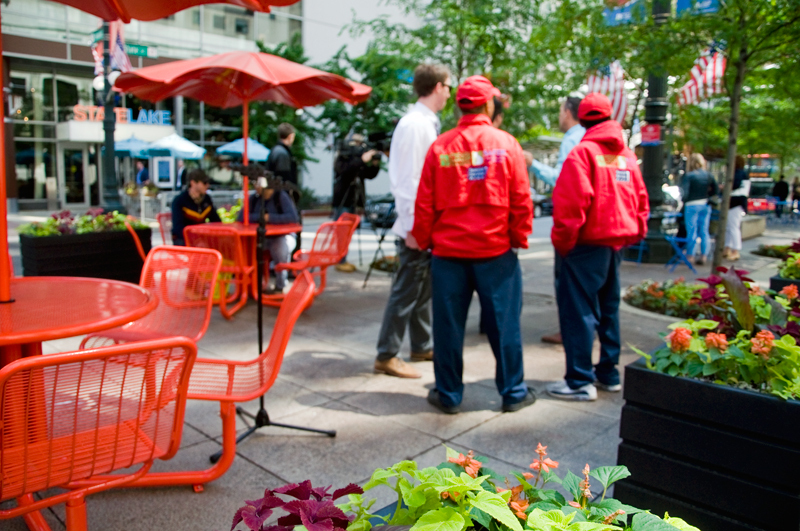 In recent years Chicago has gradually reclaimed small portions of neighborhood streets for pedestrian activity, through initiatives like its "Make Way for People" program and others.